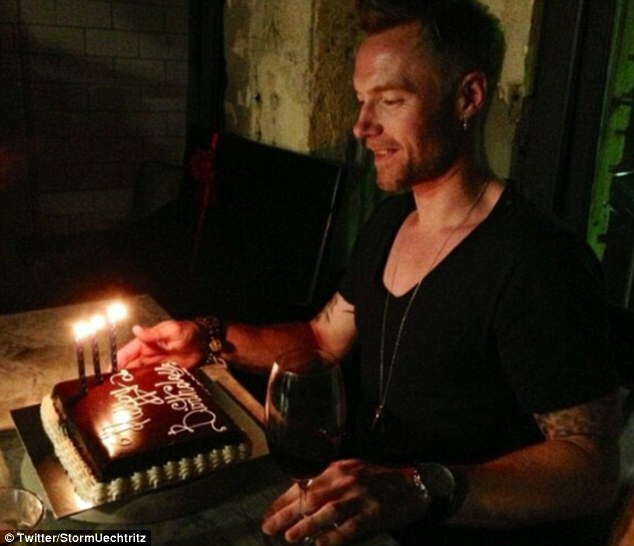 After six months together the romance is still going strong for Storm Uechtritz and Ronan Keating. Irish singer could want to be with to mark his 36th year on the planet. And in the Aussie city the former boy bander was welcomed with a very special cake. The couple live in London with storm moving to the English capital to be with her Irish boyfriend – But they returned to her home country Ronan’s Fire Live Tour. The Australian X Factor mentor and judge is joined by fellow Irishman Brian Mcfadden at concerts in Melbourne , Sydney , Brisbane , Adelaide and Perth. The Former Westlife band member has publicly spoken out against ex-wife Kerry Katona over her inclusion of their kids on her reality tv shows.